It's officially crunch time! In just a few weeks it will be time for my kids to go back to school. This year, I will have four kids in four different schools. I'm already preparing myself for the insanity! I'm trying to get as much done as I possibly can before the big day. 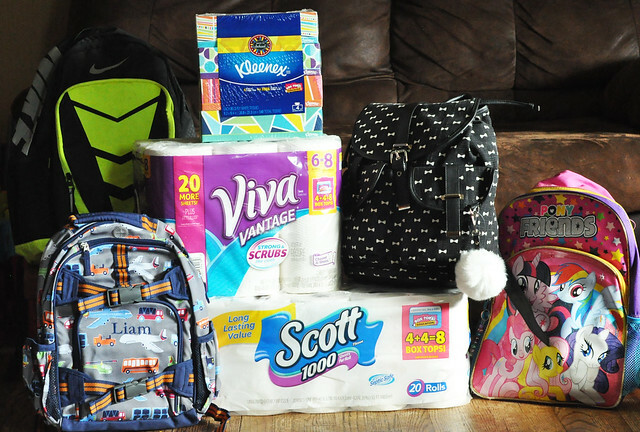 My back to school To Do List includes the traditional items such as shopping for backpacks, lunchboxes, clothing, shoes and school supplies. 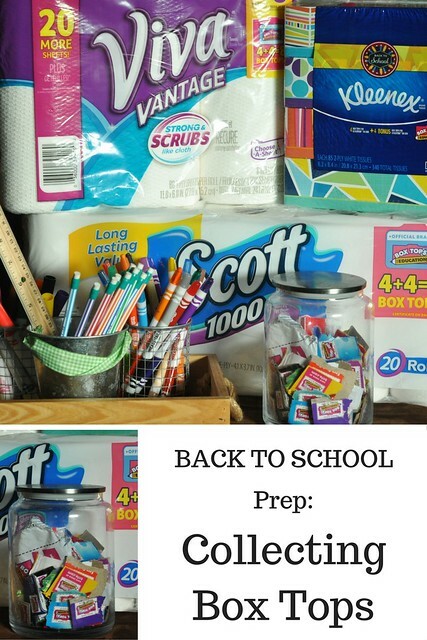 It also includes buying food and drinks for school lunches and after school snacks, restocking my lunchbox packing station and homework caddy, and stocking up on household supplies. Another item on my To Do List is clipping and organizing all those Box Tops. My family has been saving Box Tops since Dylan started Kindergarten so many years ago. A few years later, I had two kids in two different schools so we had to split them evenly. This year, as Lily heads to Kindergarten, those Box Tops will be split three different ways! I understand the importance of donating Box Tops to the schools my children attend. 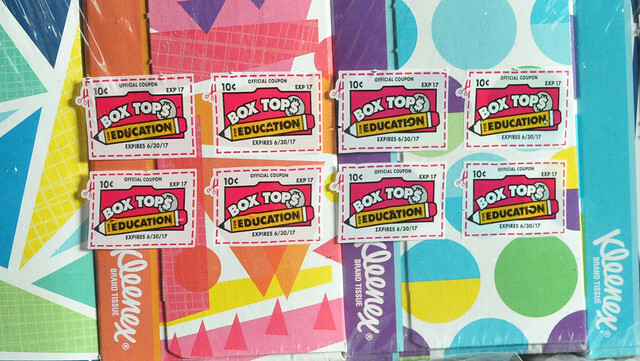 The Box Tops program began in 1996 and has donated over $719 million to America's schools! Needless to say, I purposely seek out products with Box Tops. I love that I can earn money for their schools while shopping for household items that I need! During the back to school season, you can earn double at Walmart! My family recently headed to our local Walmart to stock up on food for school lunches, paper products and school supplies. 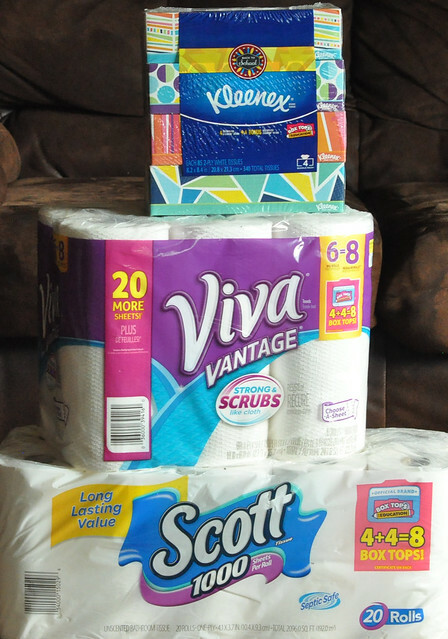 I relied on trusted favorites such as Kleenex tissues, Scott 1000 toilet paper and Viva Vantage paper towels. All three brands offer double Box Tops right now. I love how I can get every item on my list in one store and collect Box Tops along the way! Having an ample amount of quality items that our family goes through quickly is key to surviving the beginning of the school year insanity. I don't want to have to run to the store to replenish those supplies during one of the busiest times of the year, so I'm glad I stocked up now! Stocking up at Walmart saves me time and money. You can find Box Tops on hundreds of items throughout Walmart. 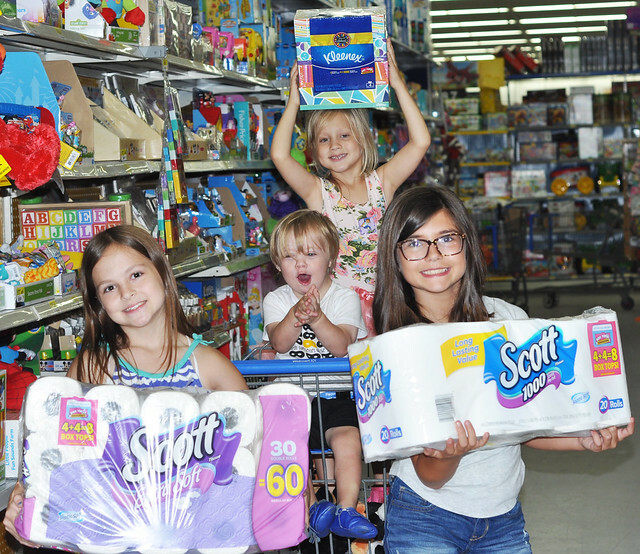 Shop at Walmart or Walmart.com for Kleenex, Scott and Viva products and earn those double box tops. When I'm saving Box Tops for three different kids, double is good! 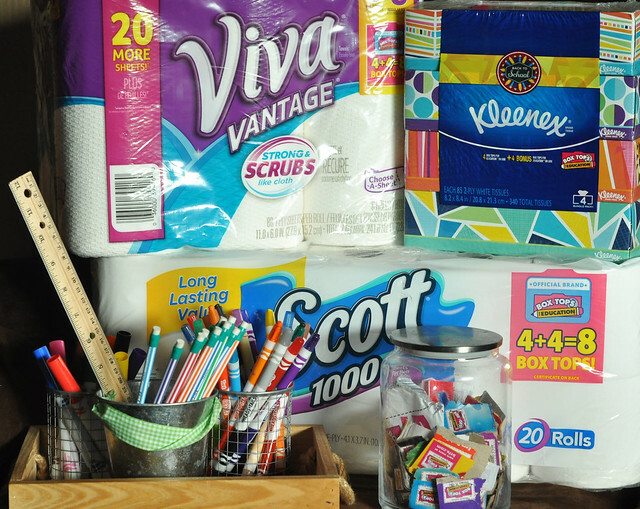 Stock up on all the essentials you already use while earning money for YOUR school! Most moms have a great method for clipping and storing those Box Tops. Search Pinterest and you will find a dozen crafty ways. I prefer to keep a glass jar on my kitchen counter and toss those Box Tops into it every time I clip them. It's an easy method for storing them until I'm ready to turn them in to our schools and it keeps them all in one place! With only 3 busy weeks to go until the start of the school year, I'm happy that I stocked up on the items we use most. Backpacks are bought, our homework caddy is refilled, our lunchbox packing station is fully stocked and those Box Tops are ready to be sorted and sent in to three different schools. I love earning money for our local school district while shopping for items I need! 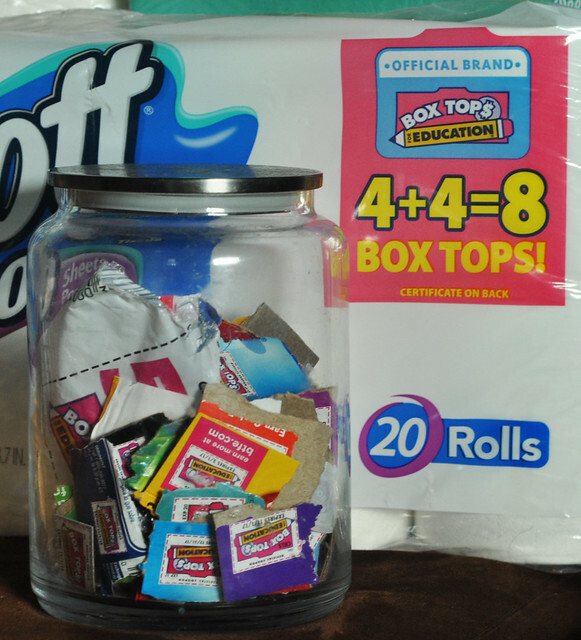 Do you clip Box Tops for your child's school? What is your favorite storage method? 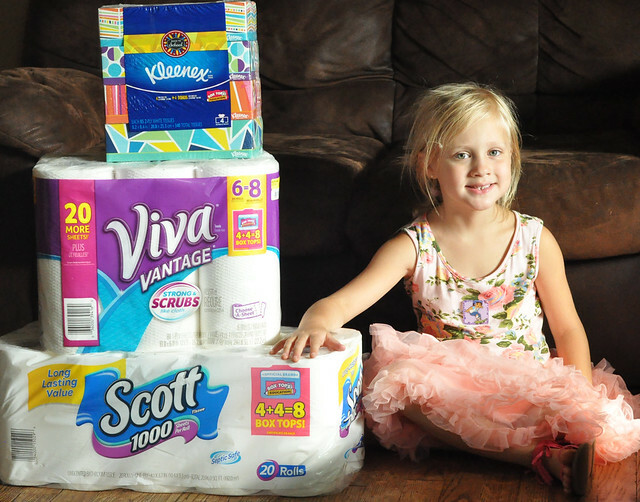 Thank you to Kleenex, Scott and Viva for sponsoring today's post and helping me #EarnDoubleAtWalmart for the school year ahead! Love Box Tops and all the good they do! Such a great program. I save box tops too. I feel like I have a lot to turn in, but probably I don't! Yes! Clip those box tops girl! Ooh I need to go on Pinterest now and check out different ways to store the box tops! Mine are in a plastic baggie held onto the fridge with a magnet. I used to collect for friends but now that Sadie will be in school next year I'm starting to collect for her! We love Box Tops!! We save all of ours... thanks for letting me know that they're double points at Walmart! I guess we'll get on the box tops this year. I used to collect them for a friend, so I guess the friend isn't going to get them anymore, gotta take them for myself now. Great to know Walmart has double points. And good luck this year with 4 in 4 different schools, YIKES! Good to know! We aren't in school yet but I like to collect them for my sister!! I love this post! Box tops are a must TO CUT out in our house! We have contests at our school for them! Such a great post! I love this program! Very neat! I always save Box Tops, but I didn't know we can earn double. Thank you! This is an excellent resource - thanks for sharing. Big companies are paying regular people for simply sharing their opinions!